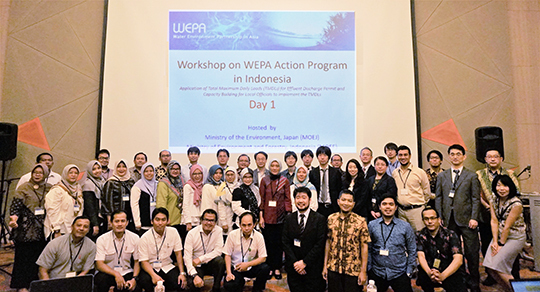 The Ministry of the Environment of Japan (MOEJ), the Ministry of Environment and Forestry of Indonesia (MOEF), and the Institute for Global Environmental Strategies (IGES) of Japan as the WEPA Secretariat, have agreed to jointly support the implementation of WEPA Action Program* in Indonesia on “Application of Total Maximum Daily Loads (TMDLs) for Effluent Discharge Permit and Capacity Building for Local Officials to Implement the TMDLs”, as proposed by MOEF. (iii) Providing opportunities to share Japanese experiences on public-private collaboration with Indonesian national and local governmental officials, which can contribute to addressing the challenges for improving the water quality of the Citarum River. The workshop consisted of Learning day and Training day. 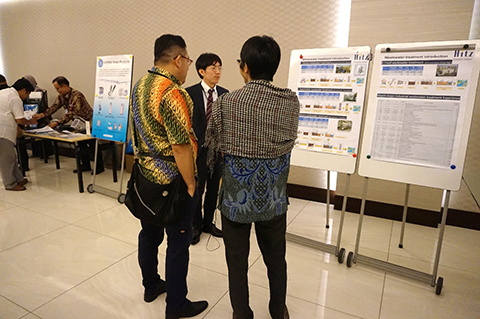 On Learning day, Indonesia presented its latest national strategy for water quality improvement of the Citarum River, followed by Japan’s presentations for current cooperation between Japan and Indonesia to improve water governance and Japan’s experiences of public-private collaboration. Participating Japanese companies exhibited their technology and products at the exhibition booths. 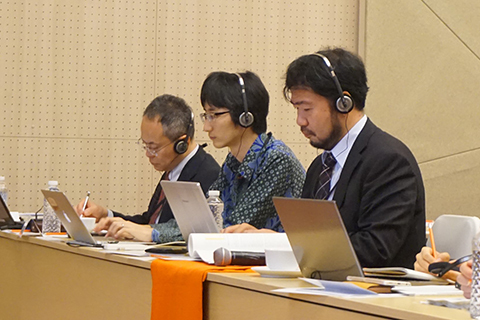 On Training day, training sessions on Japan’s experience in water management, its TMDL systems, and the newly-applied Indonesian TMDL system were provided mainly to Indonesian local officials. The afternoon panel session featured expected challenges that local authorities will face on the TMDL system through application of the TMDL system and priority actions to take to overcome the challenges in obtaining a common understanding among participants. 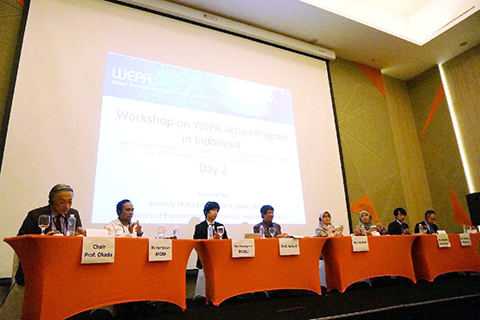 * WEPA Action Program aims to tackle specific problems to conserve the water environment in WEPA partner countries and has been conducted since 2015. 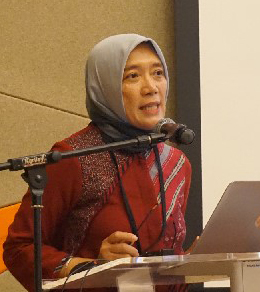 Indonesia recently developed and applied its TMDL system in a new regulation on water pollution control and has been developing and conducting its Action Program on the TMDL system since January 2018. Toshihiko Konda, Senior Advisor, Environment & Resource Engineering Department, Business Operations Headquarters, Nihon Suido Consultants Co., Ltd.
Hiroyuki Ueda, Mitsubishi UFJ Research and Consulting Co., Ltd.
Daisuke Sutani, Manager, Environment & Resource Engineering Department, Business Operations Headquarters, Nihon Suido Consultants Co., Ltd.
Sai Korn Lian, Assistant Manager, International Sales Department, Process & Environmental Systems, HORIBA, Ltd.